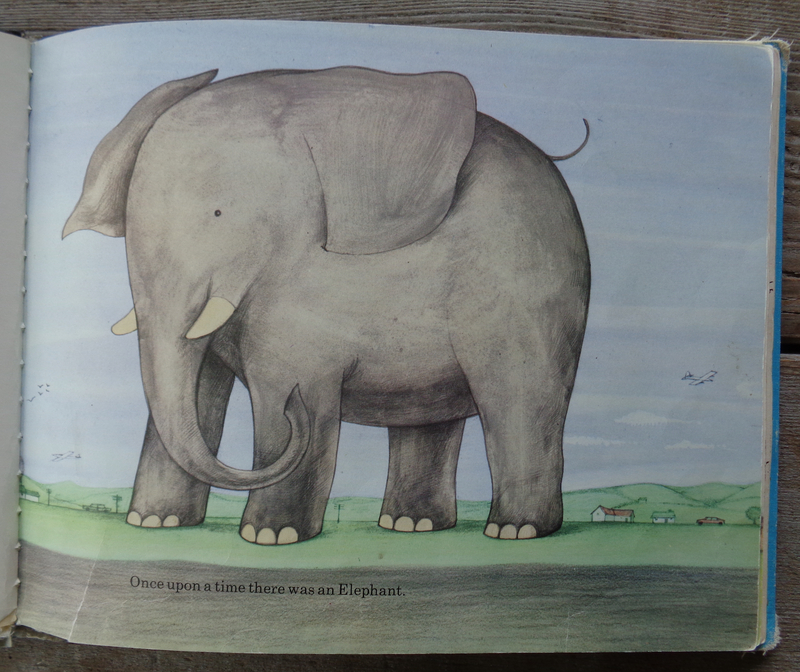 Opening: Once upon a time there was an elephant. 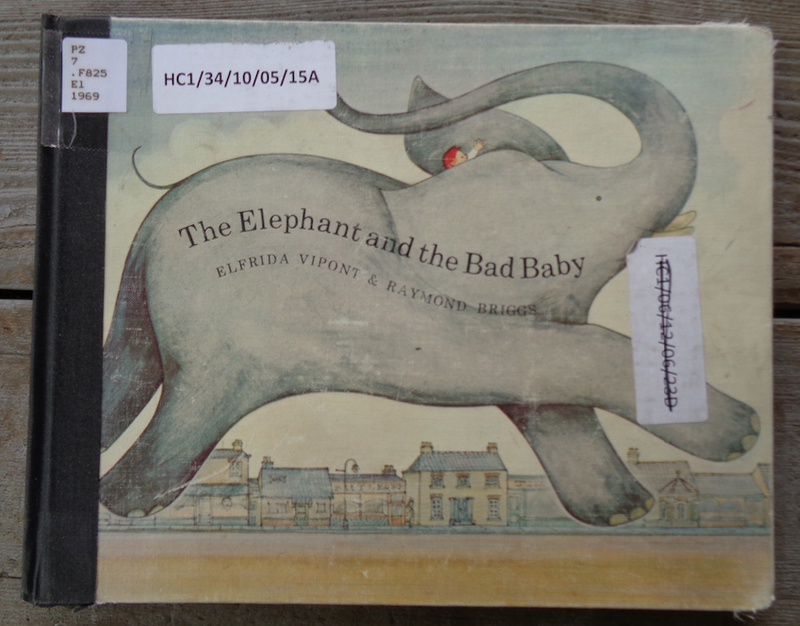 Summary: (from Waterstones)”The Elephant and the Bad Baby” is the classic story from Elfrida Vipont and Raymond Briggs. 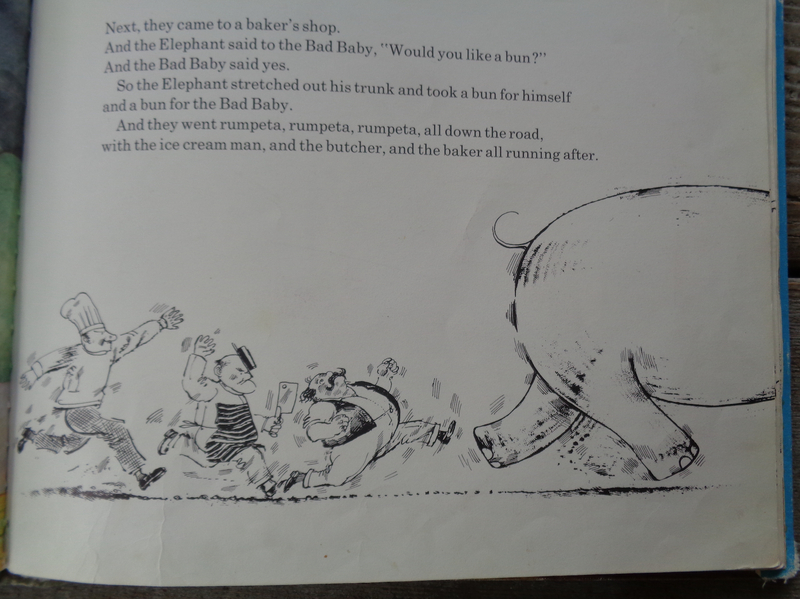 The Elephant takes the Bad Baby for a ride and they go ‘rumpeta, rumpeta, rumpeta down the road.’ They help themselves to ice creams, pies, buns, crisps, biscuits, lollipops and apples, and the shopkeepers follow them down the road shouting and waving. All ends well as the Bad Baby learns to say ‘Please’ and his mother makes pancakes for everyone. I like this book because: this is a GREAT read-aloud, recommended by a friend (Hi, Kelly!) for it’s jauntiness as she recently searched for a copy to gift her grand-nephew. 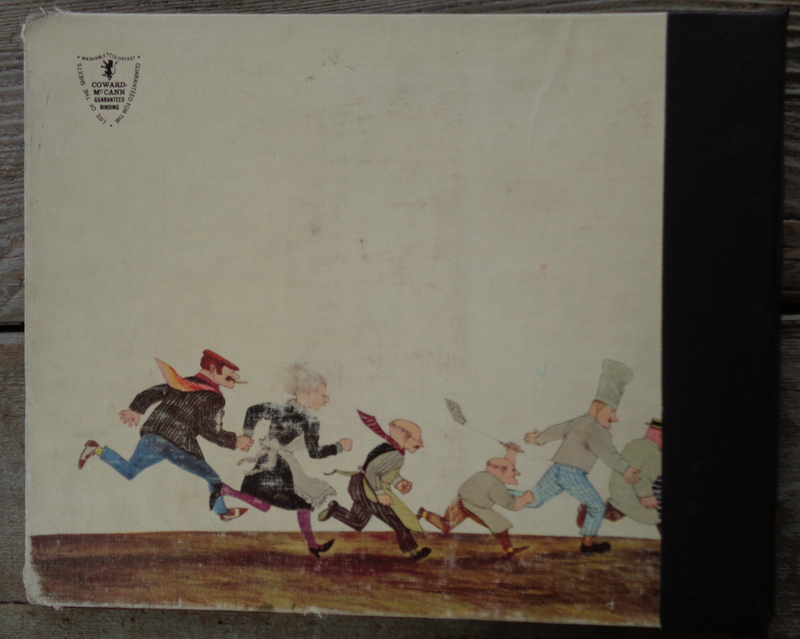 I am a fan of Raymond Brigg’s work, but had not known about this cumulative gem. And the simplicity of the opening line is just so refreshing! 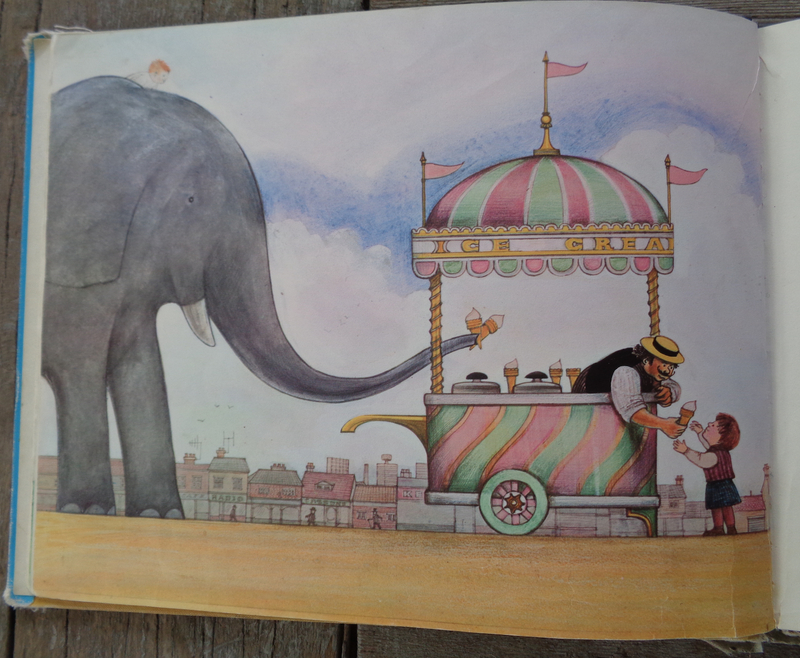 Resources/activities: make a puppet show, a flannel board, or perform the book as a play; talk about appropriate manners, but do this first – then read this to lighten the mood!